Following up on my post from Monday featuring a unique personal note from Jackie Robinson to a fan, I though I'd share more Dodger goodies available on auction at SCP. 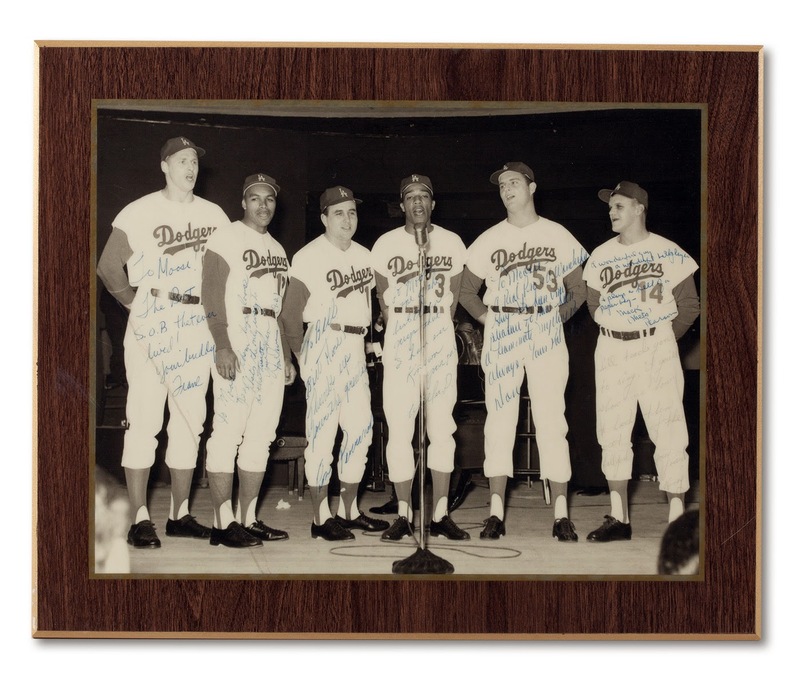 Check out this signed and personalized laminated photo of six members of the 1963 World Championship Dodgers signing a tune. From left to right: Frank Howard, Tommy Davis, Ron Perranoski, Willie Davis, Don Drysdale and Moose Skowron. I am unsure what event this photograph was taken at, but don't they all look rather dashing? I wonder what they are singing. Maybe a showtune; which were popular in those days. Do you think they took their act to Broadway, or Las Vegas? This photo originates from the family of Moose Skowron. BTW, this identical group got together on national television to sing a song. A video of that appearance is below. As I promised above, here is a video of the troupe singing together during an 1963 taping of the Joey Bishop Show. Here is something you do not see everyday. 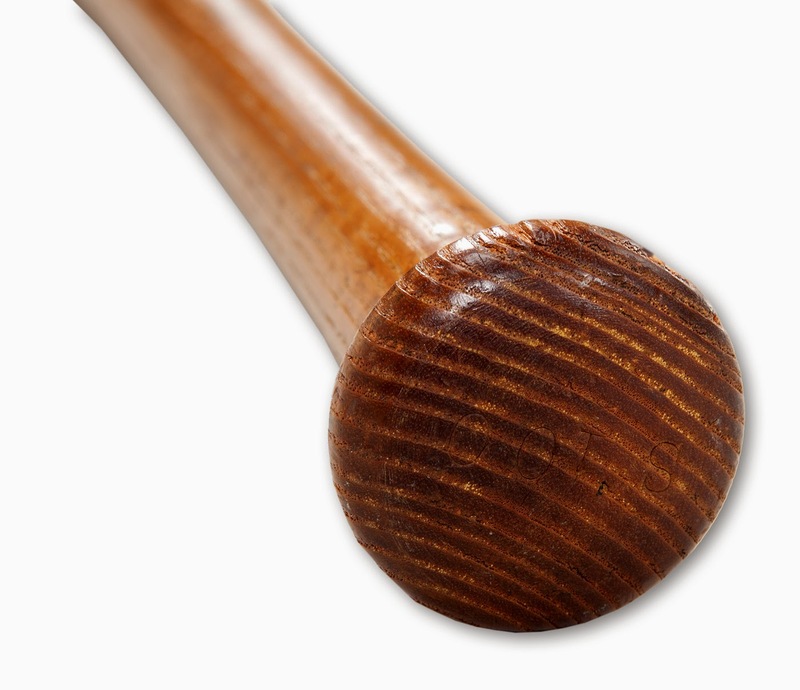 Below is a game-used bat that was once held by Jackie Robinson. It has been documented as being from the 1949 season, an MVP year for him, and is thought to be one of only two known bats from this season to still exist. I suspect this will sell for a bunch. I know this last item will sell for a whole truckload of greenbacks. Featured below is Jackie Robinson's personal presentation Hall of Fame plaque given to him during his induction into the Hall of Fame in 1962. This item originates from the Jackie Robinson estate. 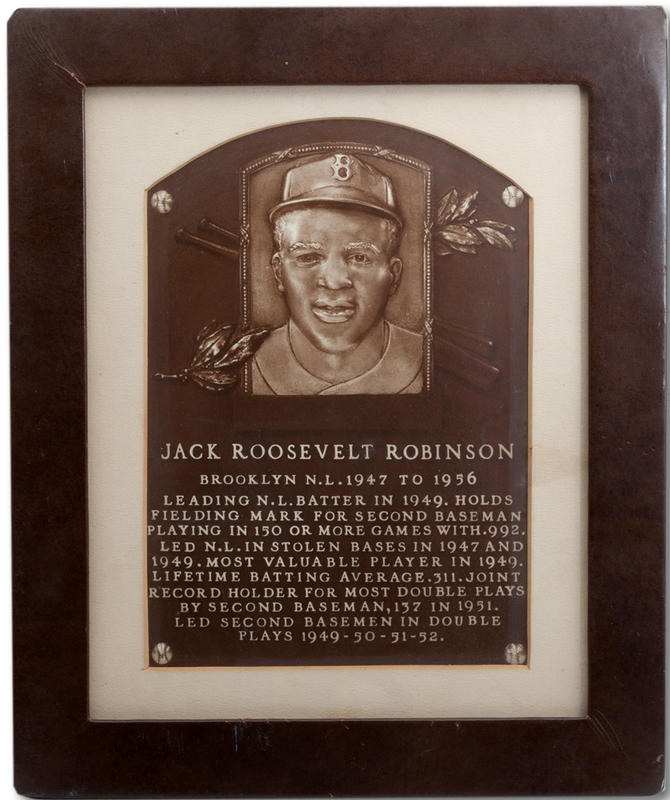 It should be noted that the original (1962) plaque made no mention of the fact that Robinson broke baseball’s color-barrier and differs from that which resides in Cooperstown today. The current plaque was re-cast in 2008 with text added in the final line that reads: “Displayed tremendous courage and poise in 1947 when he integrated the modern major leagues in the face of intense adversity”.